The traditional Valentine's Day of a man showering his woman with gifts seems to be outdated and overrated, according to some young women at Hampton University. It's 2017, which means out with the old and in with the new ways of women catering to their men, they say. "This year I'm switching it up and treating my boyfriend to dinner and nice gifts. He deserves it" said Destiny McFadden, a strategic communications major from Hackensack, New Jersey. "It's always good to switch it up when you're in a relationship with a guy, it shows him that you're independent and that you don't always count on him to buy you stuff and take care of you" said Elan Cooley, a communicative sciences and disorders major from Englewood, New Jersey. 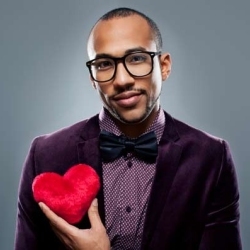 "Although Valentine's Day is only one day out of the year, it is important for guys to spoil their girl and show them how much we appreciate them," said Chris Carter, a five-year MBA major from Washington, D.C. "Letting my girl spoil me instead on Valentine's Day makes me feel somewhat emasculated." Some women said they were torn between if they would consider catering to a man on Valentine's Day or stick with the more common traditions. 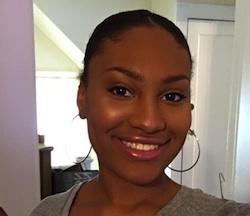 "Relationships are mutualistic and while I don't mind showing my appreciation for my boyfriend, I would like to receive the same effort from him on Valentine's Day," said Diamonique Taylor, a nursing major from St. Mary's County, Maryland. While some people rather stick with traditions and others prefer to switch it up, they can both agree that new trends on how to celebrate Valentine's Day are definitely on the rise. 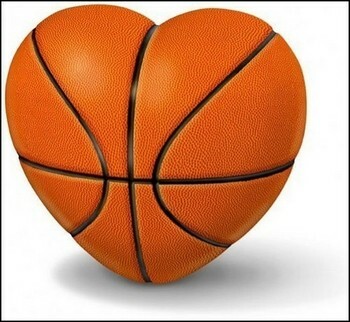 Valentine’s dilemma: Ditch girlfriend or NBA All-Star game? Well it's that time of year again – but on Valentine's Day! The NBA All-Star game steps outside the United States to Toronto for the first time in 65 years. It's been a little steamy on the court with Drake and Kevin Hart going head to head with blades of shade being thrown at each other. The highly anticipated celebrity basketball game may cause some feuds between couples this time around. This year Valentine's Day landed on a Sunday and ironically enough on the same day of the All-Star game. If you're a boyfriend who's a sports/celebrity fan, you may have some tough decisions to make this weekend. Do you ditch your girlfriend or the game? It's OK if you don't know, because I have some tips for the fellas. You don't have to wait until the day off to do something special. Let's take the entire weekend into consideration. Note that tip-off starts at 7:30 pm and the game will start at 8 p.m. on Sunday. Get an early start on Saturday morning by leaving cute hints around the house leading up to the big day. Writing the sweet clues on something love-themed such as a faux rose pedal or heart-shaped cards will add a spice to the romantic weekend. Who doesn't love a delicious, juicy meal? Saturday evening, is the perfect time to slide a romantic dinner into your plans. Two lovers can use this one-on-one time to reflect on memories they have shared and possible plans for the future – as in the All-Star game this Sunday! If watching the game is a definite, here's the time to lay it out on the table so that everyone's on one accord. Honesty is a major key to a relationship and if you want your relationship to thrive, I encourage you to be upfront with your girlfriend. A little honesty won't hurt. Who knows? She may end up watching the game with you. Let's play devil's advocate. Female lovers may get a little cranky if their significant other chooses to watch the game. However, for seasoned lovers, being with each other is sufficient. "The first 10 years of marriage, my wife would've been upset," if he watched the game, said sales manager Chris Angle, a furniture store sales manager in Newport News, Virginia. "She wouldn't be mad [now] because we've been together for 35 years." Angle, 51, explained how he and his wife have been together for so long they don't usually go all out for Valentine's Day. He mentioned how he usually doesn't have plans for Valentine's Day with his wife and she's just fine with that. However, "a Valentine's Day card and flowers and maybe a special dinner at home" may happen unexpectedly. Some younger guys don't have a problem missing the game. Dedrick Bolagi, 23, a department store sales manager in Raleigh, North Carolina said he is all for being with his girlfriend – if he had one: "You got to do what she wants to do, right?" he asked. Bolagi also said how he'd "rather miss the game than miss some ..."
Well, there's no need to get risqué here. But more than likely he'll be watching the game since he's bae-less for Valentine's Day this year, he explained. So guys, if the All-Star game is a must see, be sure to strategize this weekend so that everyone can enjoy it. Whether it's cuddling close at a romantic resort or watching the game at home with your Valentine this year, be sure to express how much you love and appreciate them. Only then may you have your cake and eat it too. It's that time of the year again. The uncontrollable manifestation of red, pink and white, hearts, chocolates, and roses will make you either "feel the love," or make you sick to your stomach. Either way, these feelings typically come from just one group of people. That's right, the ladies. But what do men truly think about Valentine's Day? What does Valentine's Day mean to them? Obviously, your oh-so-charming male companion doesn't expect roses, balloons or chocolate. So, what does he expect? 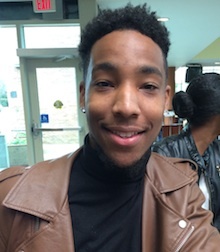 "Valentine's Day is strictly for women," said Twarn Mixson, a senior, wide receiver for the Hampton University Pirates football team. 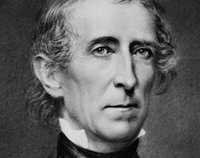 "It is a holiday that gives women the opportunity to be lavished with gifts and candy. I do not believe men should expect anything from their significant other, because men should not be into receiving gifts. The best gift is to see your significant other happy, and to make sure she feels special." 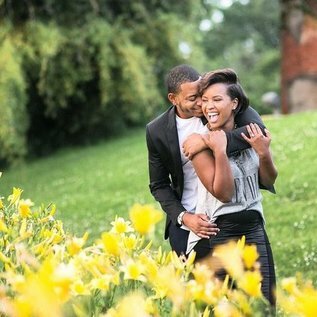 Mixson has been in a relationship with his Hampton University sweetheart for over a year, and will be celebrating Valentine's Day for the first time. "I do not expect her (his girlfriend) to give me a gift for Valentine's Day," Mixson said. "If she does, I honestly will insist that she takes it back." On the contrary, some men do anticipate something for Valentine's Day. Jervon Presley, a senior, Hampton Pirate basketball player explained although he does not want a "material" gift from his significant other, he does expect to be pampered. "I will give my girlfriend a gift," Presley said, "But I believe that my girlfriend should have something up her sleeve as well. It would not be fair to say that Valentine's Day is just for one person, or one group of people. I believe Valentine's Day is about giving something special for men and women, so I am expecting a surprise." Presley has been in a relationship with his girlfriend for over three years. He said that he always gives her flowers, a card, clothes, and takes her out to a nice restaurant. He said that his girlfriend always has a surprise for him as well. "Last year my girlfriend wrote me a letter explaining how special I was to her," said Presley. "Even though it was not a gift, I still really appreciated that surprise." There are a few interesting things we can take away from this: One, many men do not generally expect material gifts on Valentine's Day. Two, ladies, some men would not mind if you take the time out to do something special for your significant other. And finally, men and women agree on the fact the Valentine's Day is a special way to show your love and appreciation. No matter how you may choose to spend your day of romance, it is imperative to remember that gifts to not prove your love or appreciation. Try doing something memorable for your significant other, and fellas, if you are the type of guy that likes gifts and surprises, be sure to communicate that. Valentine's Day is almost here; the one day of the year dedicated to love. With each passing year, it seems like Valentine's Day expectations and gift ideas become more outrageous and far-fetched. People spend hundreds of dollars on jewelry, candy, flowers, enormous stuffed animals and elaborate dates just to say, "I love you." But with some couples interviewed on the Hampton University campus this was not the case. This year, the theme for Valentine's Day seems to be simplicity. Instead of focusing on the material aspects of Valentine's Day, some couples are beginning to focus on what's really important: each other. Jermaya Patterson, a freshman majoring in biology, and her boyfriend Brandon Monroe, a freshman majoring in music education, will not only be celebrating their first Valentine's Day together this year, they will also be celebrating their one-week anniversary. While many couples tend to have high expectations for their first Valentine's Day together, for Patterson and Monroe, this special day is about spending time together. "I think Valentine's Day is about spending quality time with the person you care about," Monroe said, "Not the material things." Every day is about loving each other for Julien Forrest, a sophomore majoring in political science, and Dara Terry, a sophomore majoring in journalism. The couple is not hesitant about showing their affection for each in different ways. Said Forrest: "Every day with this one is like Valentine's Day. I don't let her go a day without knowing that." The couple has been dating for over a year and is expecting this Valentine's Day to be full of love and excitement; in other words, an ordinary day. Terry explained that she and Forrest go on exciting dates frequently so they are planning to keep Valentine's Day simple and fun. The two are content just spending the day together. From the opposite end of the relationship spectrum, after 30 years of marriage, Drew Berry, a professor in the Scripps Howard School of Journalism and Communications, and his wife prefer expressing their love in simple ways. The media management and business Journalism professor explained that in the earlier years of his relationship, he and his wife celebrated Valentine's Day like other couples. They would take the traditional Valentine's Day route by and going to dinner and exchanging gifts and cards. However, as the years passed, Berry and his wife began showing their love for each other daily and Valentine's Day just became another day. "We have no expectations," he said while laughing. "We've been married so long that it doesn't matter. We celebrate every day." 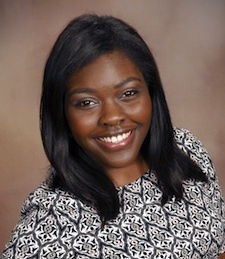 Meanwhile, being single isn't stopping Kayla Wimbush, a senior journalism major, from celebrating Valentine's Day. She has decided to share her day with an old flame. Although the couple is not together, Wimbush explained that they are still close friends and they are working on rekindling their relationship. In her eyes, Valentine's Day will help their relationship progress. Wimbush believes in simple, heartfelt gifts and is only expecting one thing from her Valentine. "I just want flowers," she said. "They are a beautiful expression especially, when given from the heart." 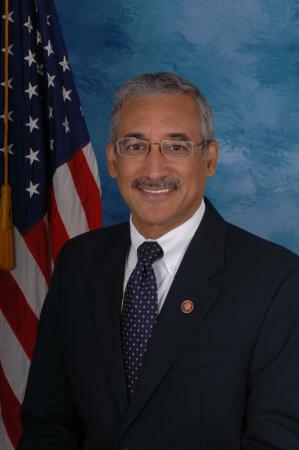 NEWPORT NEWS – Congressman Bobby Scott hosted his 39th Annual Labor Day Picnic at his family home here. Democrats from across the state had the chance to gather for food, family, friends and politicking. "We first had one in 1977 when I ran for the House of Delegates," said the U.S Representative from the 3rd Congressional District. "I had just won the primary, and we had a thank you for our volunteers and we never stopped having it after 39 years." About an hour into the event, approximately 200 community people filled the backyard of Scott's Shore Drive home. Several tents across the backyard were set up with cold drinks, grilled meats and a registration table. Virginia native John Lash said he has attended Scott's picnics since he was in college decades ago: "Everybody is very approachable and you can mingle amongst people. You can talk to them, tell them your ideas and have a good time too." The picnic gave the community and local politicians the opportunity to come together for a festive time before elections. This once-a-year event gave politicians room to share their platforms and discuss everyday concerns in Virginia. Newport News Vice Mayor Robert S. Coleman said he has attended this yearly event for 15 years: "This is the unofficial start of the campaign season. Everybody who is in politics in the Hampton Roads area will be at this picnic most of the time and everybody who is running for office." Easter away from home at Hampton U.
Easter has been classified as one of few special holidays traditionally celebrated in an array of ways. While some students may remember shopping for their Sunday best Easter suits, or ruffled socks to match that bright yellow dress in preparation for unforgettable Easter speeches, others have just seen Easter as after church spring Thanksgiving dinner. Here at Hampton University, a variety of these significant Easter traditions have now become just memories for a few. Since most students are many miles away from home, alternative plans have been temporarily or possibly permanently set into place. "I would usually be going to church with my family," said sophomore and art major Geryn Harris of Richmond, Va., "but this year I will just attend chapel service on campus with friends, with high hopes to catch a decent homemade meal at someone's house afterwards." In addition to childhood memories, many students have given up one or more things that they would usually have or do on a daily or regular basis (i.e., candy, television, social media, juice) for 40 days leading up to Easter Sunday. This method of sacrifice is known as "fasting," but for this occasion, referred to as "Lent." Serena Rudisel, an electrical engineering major from New York, adheres to this annual practice: "This year I gave up all drinks except for water, so I can truthfully say that I am pretty anxious to have something to drink with flavor as I enjoy my meal at a potluck with some of my bigs." Prior to Sunday, Hampton students and the Greer Dawson Wilson Student leadership Training Program will give back to the community by participating in a 5k race off campus and later catering their time to the youth with fun and games at "Easter by the Bay" in the Convocation Center. "Because my family was and still is heavy on giving more than receiving," said senior and English major Devon Bonnick, "I will continue their tradition by participating in Easter by the Bay along with the student leaders." "Once I heard there was going to be a huge Easter egg hunt, I was all for helping out. I also thought it would be a reasonable excuse to reminisce on my childhood for a bit." Although Easter may be a full day of festivities, it is more than an Easter egg hunt, a speech, or once worn stylish outfit. "I have realized and been completely guilty to the fact of simply becoming caught up and forgetting this holiday's true meaning," said marine and environmental science major, Christina Williams. "As I've gotten older, and especially since I am away from home, I've made it my conscious effort to not overlook family tradition by remaining reflective and grateful for this holiday."